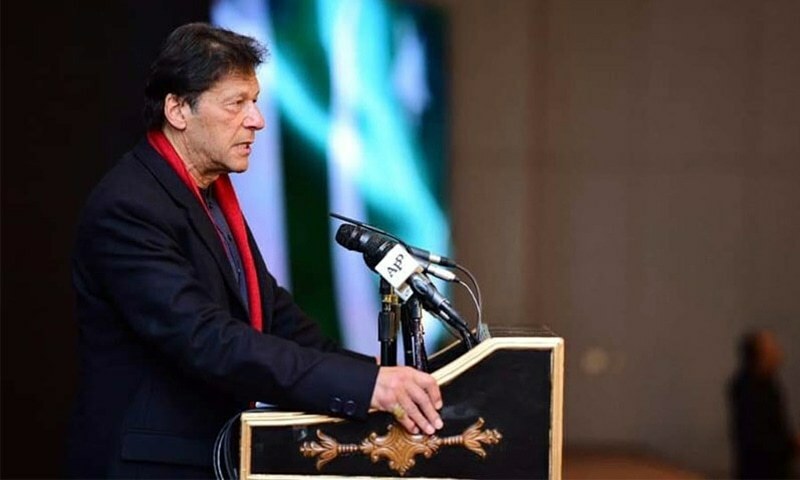 Prime Minister Imran Khan said on Thursday that while Pakistan was currently facing the "most difficult period of its history", the PTI government was taking course correction measures to stabilise the economy and make institutions stand on their feet. Speaking at the launch ceremony of the 'Pakistan Banao Certificate' (PBC) — a dollar-denominated diaspora bond aimed at attracting investment from eight million overseas Pakistanis to help strengthen the national economy, according to Radio Pakistan — the premier said his government had no idea how bad the country's economic situation was until they came into power. "We weren't expecting anything good at all. 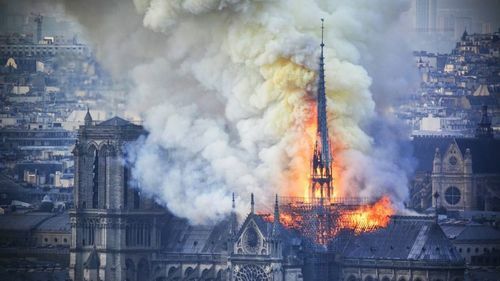 However, we did not have any idea how bad the situation is going to be until we actually saw it with our own eyes," he said. "The easiest way to bring relief was to go to the IMF (International Monetary Fund) like previous governments kept doing, and the other route was to go to friendly nations and ask them to lend assistance to us. That is what we did, because we needed long-term solutions," Prime Minister Khan added. The prime minister told the audience that the crisis in Pakistan is not over by any means. "However, we are on our way out of the crisis. This crisis will end when we modify our approach towards agriculture. It will end when we start tapping into our tourist destinations." "Pakistan is blessed with a lot of tourist spots. We can have a lot of religious tourism in the country; we have sites to attract the Buddhist, Hindu, Sikh and Sufi communities ... this can result in billions of dollars worth of tourism," Khan explained. The premier reiterated that Pakistan has a lot of potential which needed to be tapped. He invited overseas Pakistanis to come forward and enthusiastically purchase the 'Pakistan Banao Certificates' to make this scheme a success. He said the government has offered an "attractive return on these certificates and the scheme would not only help the Pakistani diaspora earn reasonable profit from the certificates but also extend a helping hand towards reviving the national economy at this critical juncture." Finance Minister Asad Umar had earlier told Dawn that the PBCs would be of two maturities – one of three years at about 6.25 per cent return and another with five-year maturity carrying 6.75pc return. Four banks had been selected to complete the transactions, he added. 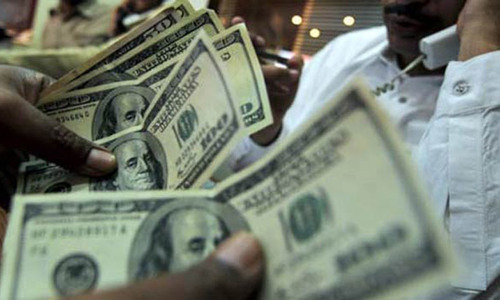 Officials said the certificates would be payable to the Pakistani investors in their accounts maintained abroad on semi-annual basis in foreign currency with the choice of local payments in local currency. The certificates would be issued to Pakistanis with computerised national identity cards and maintaining accounts abroad, national identity cards for overseas Pakistanis (NICOP) or Pakistan origin cardholders. The instruments could be purchased individually or jointly by the resident and non-resident Pakistanis having bank accounts abroad but it would be mandatory that funds for the purchase of certificates originate from their foreign accounts and remitted through official banking channels. The certificates have been marketed on multiple platforms including digital, electronic and print media, starting from January 28 to ensure maximum outreach to potential investors. Additionally, road-shows, awareness sessions, etc., will also be held for overseas Pakistanis in the target countries. Officials claimed that PBCs offer more attractive returns than those available to Pakistanis abroad on instruments of similar maturity. The certificates are backed by sovereign guarantee. Responding to a question, an official had said the PBCs would not adversely affect normal remittances from overseas Pakistanis. How soon and how it will happen? "We weren't expecting anything good at all. However, we did not have any idea how bad the situation is going to be until we actually saw it with our own eyes" Hmm... I wonder what PTI would have said had it been Nawaz Sharif making this statement after winning the election and taking over from PTI government. This is obviously in reply to the president of the Bank of Pakistan who says that is not the truth. Imran Khan does quite a bit of wishful thinking. His aides cannot make this happen. Imran Khan feels his number one job is dodging criticism. Why does IK keep miking the overseas Pakistanis. Why has he been unable to recover money from the corrupt elements of the previous era. Prince Salman recovered a whopping USD 100BN. Why cant IK take a leaf from that book? Will they consider it an investment? Previous governments have been 'reviving' the economy through credit cards, and paying off the balance using more credit cards, leaving the mess for someone else to clean up. Imran Khan has a genuine approach that is intelligent and takes the longer-term road into account. We should all support him. what guarantee do I have that the bonds will be honoured to maturity if there is a different government? As soon as it’s a growth centric economist leading the finance ministry and effective energy management . Circular debt just crossed 10 billion $ with 18 percent energy losses. How sooner, by end of this year, or next year or on completion of your term. Where do you buy them? Which four banks are designated? What countries do they have branches in? Easy going for whom and what percentage of the country's population? Wish our worthy prime minister could be more truthful to his country's people for once at least instead of giving them lollipops one after another. I dont understand, to what PM Khan stating, coming out of prevalent economic crisis. The projection of trading economic from 2019 to 2010 is quite grim. GDP growth rate, Bangladesh is ahead of all the South East Asian countries, with 7.9% growth, with India at 7.8%, where as Bhutan, Maldives and Nepal are ahead of Pakistan. Bhutan,Maldives and Nepal are ahead because of Tourism. After your first foreign visits, it was said that Pakistan has come out and now it is being said,"soon" it will come out". Almost the same were the claims of the previous governments. IMF new projection over Pakistan economy is a disappointment for PTI. GDP growth at 4.7 percent and inflation rate at 5.2 percent for 2019. So how PM Khan will take out Pakistan from economic crisis, only he knows. I just tried to register for these certificates. But, the online registration form is not accepting Canadian postal code format. But our beloved kaptaan saahib last month said there is no economic crisis? Big man in big office is having difficulties keeping his promises. Pakistan can think about tourism business only after gaining trust of world that Pakistan is a safe nation. Currently I don't think Pakistan has such image and it take lot of hard work to overcome this image. Why all leaders in the past also said that "most difficult period of its history"? @Fahad Jahangir, "Why does IK keep miking the overseas Pakistanis". It is not milking. He is not forcing anybody. It's up to the people if they have interest or not. The PM had no idea what is the actual situation of economy and yet made tall claims and promises.The CM Punjab is under training according to himself. I hope and wish PTI can deliver only 1% of what they promised during last few years. It is much better to ask friendly countries to help rather than begging to IMF for loans and accepting their stringent conditions that will further weaken Pakistan. This is what both AAZ and NS did in their last tenures and put us in our current political and financial mess - no more begging! IK is under the impression that overseas Pakistanis can fix the economic problems of Pakistan by buying these bonds and other investments. This is not going to happen. Majority of the overseas Pakistanis are middle class families who are living a comfortably within their incomes, but not affluent to invest in Pakistan. IK has to get money from Pakistanis living in Pakistan. Establish a tax and make people pay taxes. Stop corruption and bring the looted wealth of Zardari and Sharifs back to Pakistan. Just this money will account to billions of dollars. 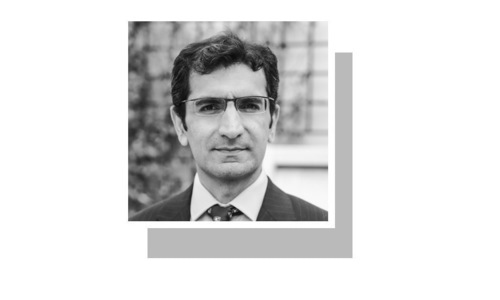 Overseas Pakistanis wish well for Pakistan and do help as much as they can, but to expect them to change the economic conditions completely is a pipe dream. IK is not going to disclose, the yemen deal. It will be less difficult if a qualified growth centric economist replaced a basic account finance minister . With 18 percent energy losses , circular debt has crossed 10 billion. Dollars . Eventually the exporters will have to pay via or another devaluation that will further burden the hydrocarbon imports . Good scheme but IK needs to understand it is time for him to step forward and lead from the front. The world is waiting to see who is IK, so far it is his ministers who are doing all the talking. People are with him and it is him that they trust, so is the world. Thanx for getting a decent haircut. @ashok, Its always easy to criticize previous governments. Imran Khan is now asking overseas Pakistanis to remit money to Pakistan through proper banking channels. However, during the Dharna days, this same Imran Khan, standing on a container, was asking overseas Pakistanis not to send money to Pakistan through banking channels but to send it through hawala channels. PTI itself was using hawala channel to remit money. Anyhow, it is only good, if he has changed for the good. @Fahad Jahangir, because this is not a dictatorship that he can go up to people order their lockup and take money of them. These dollar-denominated diaspora bond are not attractive for overseas Pakistanis. I think the real bad time is yet to come. Anyway good luck. U turn in statements now. Some time back imran khan said crisis is over now he is saying pak facing difficult times . Strange. PM is 100 % right. I am not sure how this is going to work? I mean if the PM's message was trust by investing in this certificate, then it will not work. The overseas Pakistanis investing in Pakistan is akin to buying stock in the stock market. But, if the past performance was not up to grade, how can people invest? Imran's intentions maybe genuine...but there are those keeping him in a bubble. @Ali, the bond is guaranteed by the govt of Pakistan so has no bearing on who is in power. It’s a legal govt guarantee for both interest and principal invested. Why is Pakistan always going through a most difficult period or at a critical juncture or going through a crisis all the time? @Fahad Jahangir, because getting back the looted money from foreign banks involves Foreign Banks and their Govt. It's not an easy task. 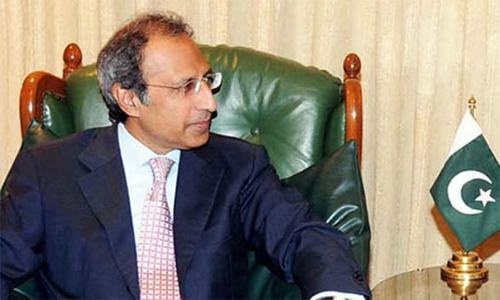 @Fahad Jahangir, atleast he is not doing like his predecessor did. That is, freezing all foreign currency accounts. Remember what NS did in the mid 90s? Pakistan banao bonds should be properly renamed as Pakistan bachao bonds. @Life, Such Problems are not easy to solve with huge loan repayments inherited by this Government. Daily the debt burden on country is speedily increasing.more and more loan. Think only for interest payment on it not principal amount . @Ali, no guarantee .pti will.say ik is honest . Cosmetic solutions will not work in the long term. In order to make concrete achievements Pakistan needs to introduce radical agrarian and economic reforms. Introduction of basic land reforms and establishment of heavy industries are the initial steps. The long term solution to economy is free market which will never be embraced. Pakistan's economic situation is going from bad to worse. Not sure whether the interests offered on these bonds are competitive enough to attractive serious expat investors, some patriots will buy some to express their patriotism that’s all. With regards to religious tourism, Pakistan has a long way to go, present atmosphere is not conducive, too much religious intolerance exists which has to be tacked first. Pakistan needs to invest in tourism infrastructure before attracting foreign tourists, Pakistani tourism has great potential if planned properly. $ needs to come down to be favorable for Pakistanis settled abroad to invest in here. @Bill, haven’t you got anything constructive say other than pointless negative comments? Sir, first find out why Chinese companies are moving to India and not Pakistan. @Zeeshan Ahmed , that’s what P.M. doing now. "the premier said his government had no idea how bad the country's economic situation was until they came into power"
Above statement in a civilized world is equal to a self confession that we were not able opposition and we had no plan of action. The only thing IK should do is apologize and resign. I will not give him a single penny because I don't trust them anymore. For overseas Pakistani to invest in these bonds following items must be addressed: 1) investment security 2) transparency and clear process of investment 3) current profit rate of 6.5% is too low. @AZulfi, totally disagree....you know it 100% if you come to the parliament. The sure and safe way to help the country's economy to develop is to tap its internal resources through an effective taxation and the immense treasures of corruption, because the foreign resources will always be limited in scope. Let us hope for the best. It is still too early to say anything about how exactly this PTI government is doing. However, recently, they have made both some positive and negative changes. I hope they will keep reviewing their own decisions and actions from time to time. .... And he is going to send money to the poor people of India.....hmm one day. Message to poor people of India, don't keep your hopes too high. Invite all the rich elite to a 5 Star hotel in Islamabad, hold them there for 30 days and I am certain you can recover at last 20 billlion usd from these looters. The people of Pakistan will have huge respect for such a move. Does anyone know what guarantee the govt gives on the bonds? What happens if in 2 yrs time govt starts to tank? Like in the past everyones money can be sealed and gone! Seems risky. Every 10 years people say that - 71, then end of Zia, then Kargil debacle, etc. Every "savior" says the same. How can overseas Pakistanis invest in these bonds without any efforts for the restoration of trust? Millions of Pakistani invested money in Bahria Town and other land grabbing societies, where most have nearly lost their investment. @AZulfi, Not true. Look and Democrats and Republicans ever heard democrats stating it was bush government that is responsible for 2008 economic meltdown ? Sitting in opposition is not like looking at a blackbox from outside it is sort of very thin wire mesh where it is extremely hard to hide. Key to success is IMF debt reduction and increase in investments instead. IMF debt is the new form of colonialism. The way to reduce IMF debt in short term is to borrow from friendly nations. Excellent steps taken by the PM. What if the currency depreciates? The return could be even negative. The returns should be indexed to inflation. @hanifsmile, " am sorry but so far I dont see much different from previous administrations,"
@Fahad Jahangir, Because Pakistan has laws and processes, albeit weak, which take time and effort. Not a monarchy where you lock up people for ransom. Besides how many liquid assets are there? A billion or two will not solve the problem. Won't even build a single dam. @Fahad Jahangir, it's a kingdom and Salman is heir apparent. he can do what he will, if Imran Khan had similar powers then? @Zeeshan Ahmed , I agree, but, you are missing the major part that you used the credit card to keep the dollar low so that could get more dollars for their ill-gotten money. It was a double whammy on the Pak economy and the poor people of Pakistan. @Ali, what about pkr devaluation? @Ali, I am worried about the depreciation if economy keeps going south. What if we have Venezuela type crisis. Everything will be zero. Seems dicey to invest in these certificates when rupee is devaluing rapidly. At the end it is just plain simple business. Imran Khan is sincere for a better Pakistan. Certainly the past rulers have used everything for themselves firat before they thought of the country. Any investor would like to have more clarity on how the expenditure is going to be streamlined, inefficiencies contained, and, highlight of new investment areas. Else, it'll be just another empty rhetoric we've seen innumerable times. Imran Khan, We are all with you. @Sarak Ardish, PTI is in for 3 years with IK as PM. By then pakistan would have surpassed all in the region, in positive economic and social indicators. There is so much interest, its unbelievable. All because the populace trusts IK. What are the corrections being done.. please eloborate? Only this very week US Intelligence has given bad report on Pakistan, Afghanistan President says Pakistan has key to War and Indians woke up Pakistani Ambassador at midnight? Chinese are on slow down.. so where are the corrections? I am an overseas pakistani and I belong to the middle class, however instead of criticizing everything I will rather invest in this to whatever amount I can, and every overseas should do that for Pakistan, Khan has delivered before by proving every1 wrong and we have the best free cancer center in Pakistan, and IA he will deliver again! Agriculture is key but industrialization is the solution of employment and poverty eradication. If you want to be on equal footing with India then Industrialize Pakistan. Steel, Power, industrial infrastructure and engineering education should be top priority along with peace and stability. Now he is telling the truth. Is this annual return or total return in 3/5 years? It appears to be a good idea and certainly there will be several investors. Having said that, religious minded Pakistanis will probably not be interested due to fixed interest being offered. I don’t think the wiser ones will invest . You never know what will happen after 5 years if NS comes back to power and IK tenure is over. We have to remind people that since Imran Khans PTI won the elections. Nobody knew the reality of debt and corruption the country was facing. Imran Khan was the only man who all the Pakistan should have hope in. This man is starting from scratch as previous Goverments left Pakistan in a total disasterall due to corruption and bad deals. If government is really care about the economy of Pakistan so it should legalize digital currency . The inept always blame others. A U-turn again after saying all is well. These are the first signs of impending doom n government not being able to manage the situation. Always easy to be an anarchist than to responsibly manage a situation. The only problem is for people who do not want to take interest, and there are many. This is pure interest and we don't like it. When you allot 1/5th of GDP or more to the so called 'defense' this is what will happen. Some 70 years mismanagement can't be solved overnight. Pakistan needs to crawl before it can walk. Pakistan is facing most difficult time of the history. I agree. You and General Empire are the reason behind this adventure and hardship for Pakistan. Just 6.5%. I m very sure who ever will invest will loose money. Pakistan cannot get tourism as it is still very dangerous place to visit. It will take many years to develop a tourism trust. Pakistan facing 'most difficult period of its history' but course correction underway: PM Khan This statement is not new, I'm Listening like statements for the last about 60 years or so. But also proposed solution to end the crises is not feasible and has been tried before by khan's predecessors. so Pakistan Banao bonds are no solution the govt should drastically cut down unnecessary expenditures, layoff extra load that it has announced but not done practically. No action against corruption is being taken, only desires to do good for the people is not sufficient. Be Practical and Quick in actions. Regarding the Pakistan banao certificates, so the government wants me to hand over my money to them to take care when the government itself cannot handle the money they have had in the past. While it does seem attractive there are some critical questions at least from what I can tell from my browsing the web. I understand it is government backed but the real question to everyone is can we trust this government and how (what currency) will the principal be returned on maturity? I don't expect the government to make overnight changes from the devastation caused by previous governments but I currently have not reached the confidence level to make this investment. Maybe in a few weeks I will. One thing I can say I will do all the research and talk to knowledgeable investors before I make a final decision. I wish this initiative the best of luck!! Because its a far bigger market No 4 economy in the world. The whole world is rushing to invest in India. Good initiative but depending on overseas Pakistanis for everything is rather a crude joke on them. Why doesn't the government reform their tax rules and bring everyone under the taxation umbrella. Business man racking in millions of rupees without ever giving a "pesa" in tax. Know of shops in Hyderabad which are literally smaller than a 5x5sqm and their rent is around 50 to 60k a month. And owners don't pay any tax at all. @Fahim Khan, You rightly expressed the words " in a civilized world". That clears any perceptions ever held by any one about the present rulers of the country. This is good idea. Invest in Pakistan, receive good return and not lose due to exchange rate fluctuations. However current investment process is already discouraging investors.Do not wish to first register on line, then remit money using the registration number and then wait for confirmation. Prefer to do it in a bank where investor provides the required details, gives the money and receives receipt of the payment. Government should look at this option and compensate the banks.